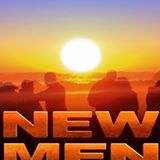 MEN WANTED: I am writing a book about the New Masculinity called "The Invisible Prison" - about how Patriarchy has enslaved men as well as women. And I am designing a questionnaire to give to men to share their experiences about what it is like to be a man in the 21st century - the positives and negatives. Obviously I already have some ideas ... However, what questions do YOU think would be most pertinent/useful to include.?? And would you be willing to participate?? IF so, please contact me here so I can have your email address... and please include any questions you might like asked. The questionnaire will be available online and is STRICTLY CONFIDENTIAL.